Spring has finally arrived! With every change of the season, I love spring because of the warmer days, new baby calves, the beauty of budding flowers and trees and spring break! Even though our work continues as usual on the dairy farm, we always look forward to a change in routine just like families that are enjoying spring break this week. Even on spring break, a nutritious breakfast is an important start to the day. 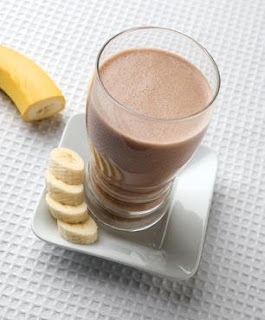 I love peanut butter and chocolate milk so I'm suggesting you might change your breakfast routine and try a tasty shake! Combine all ingredients in a blender; blend until smooth and creamy. Serve in tall glass or on-the-go container. You can find nutritional facts about this recipe and other great dairy recipes at http://www.dairymakessense.com/. Have a very dairy good spring break!